We see a real-time demonstration in the Trump trade war. The president’s idea was to bring lost manufacturing jobs back to the US. However, the administration’s chosen weapons appear to be sending factory jobs out of the US. And while they are punishing some foreign competitors, they actually reward others. It’s one thing for a plan not to achieve its goal—it happens. But when your plan is making the problem worse, common sense says you stop immediately. Trump tapped the brakes at his G20 summit meeting with Chinese president Xi Jinping. He agreed to delay the 25% tariffs that would have gone on Chinese goods beginning January 1. But the train is still rolling downhill, and more Americans are going to learn it the hard way… like thousands of Midwest automotive workers did last week. 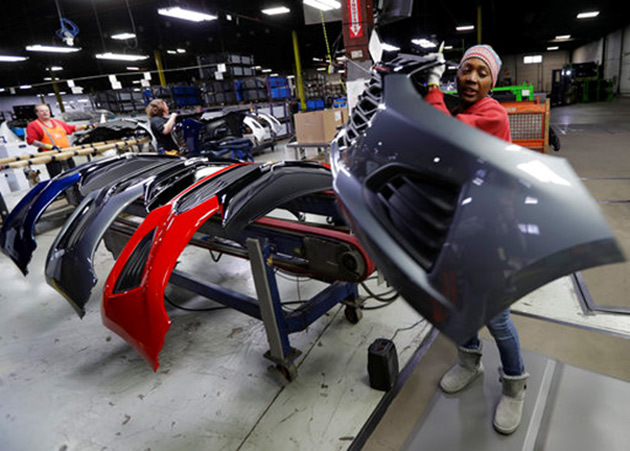 You probably heard that General Motors (GM) said it would close several US plants and lay off thousands of workers. Ford (F) made a similar announcement in October. This was bad news for the GM workers but good for GM shareholders. Their shares rose after the optimistically titled General Motors Accelerates Transformation news release. So, GM management just did what some investors think management should do: maximize shareholder value. But what took away their other choices? Part of it was long-term consumer trends. The cuts focused on passenger car production, which has been declining as Americans buy more trucks and SUVs. But that’s nothing new. President Trump’s steel tariffs are new and reportedly raising GM’s costs up to a billion dollars annually. Hence the need to unallocate plants and transform staff. However, we can’t place all the blame on Trump. Congress helped too. Last year’s “Tax Cuts and Jobs Act” was long on tax cuts and short on jobs. Its hastily drawn provisions include one called GILTI that can reward US companies for moving production overseas. In certain situations, they pay a lower US tax rate than they would by making the same goods in the US and exporting them. That was not the intent, I presume, but it happened. And politics being so gridlocked, we don’t know when a new Congress will fix the problem. Meanwhile, GM and others have a tax incentive to kill American jobs. Other and bigger things are happening. Industrial technology is pushing production closer to consumers by making international wage differences less important. Unlike people, robots cost about the same everywhere, so businesses are better off building factories near the people who buy whatever they make. For GM and other auto manufacturers, the customers are increasingly foreign. In this year’s third quarter, GM sold 835,934 cars in China and 694,638 in the US. It built many of those directly in China and has every reason to make more there, tariffs or not. Ditto for the entire automotive industry. That’s not what President Trump wants, of course. He wants them to build cars in the US and ship them to China. The US will then, he thinks, become a manufacturing powerhouse again and the much-hated trade deficit will shrink. That’s the theory. Unfortunately, his tariffs help convince the car makers to do the opposite, as does the GILTI tax. And even without those, shorter supply chains are making that kind of exporting uncompetitive. Like it or not, the world is changing. Those manufacturing jobs are not coming back to the US. But that doesn’t mean the tariffs have no impact. Like many in the US, Chinese companies feel the tariffs. The added costs and reduced sales are forcing them to make changes, much like GM did. Here’s the lead from a November 29 South China Morning Post story. 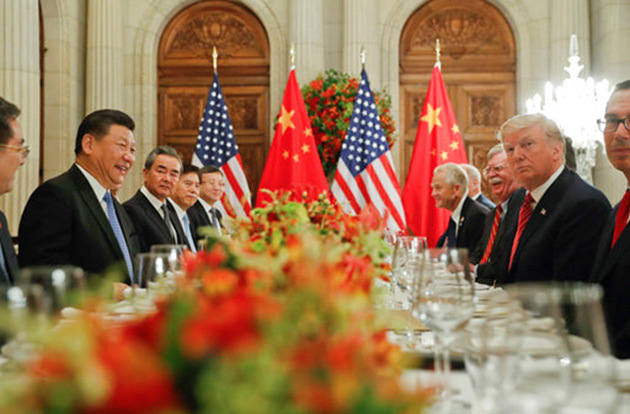 President Donald Trump’s tariffs on Chinese imports are having the desired effect of driving production out of China – but not to the United States. 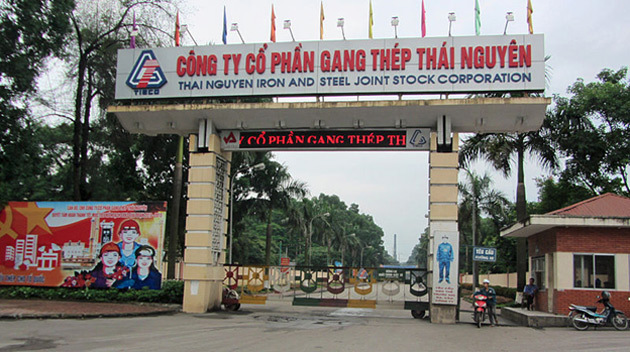 Less than a month after the Trump administration hit US$200 billion worth of Chinese imports with a 10 per cent tariff, leading Hong Kong based furniture maker Man Wah Holdings – which has more than 18 million square feet of manufacturing space in China – broke ground on an expansion of its facility outside Ho Chi Minh City in Vietnam. In June the company, which specialises in reclining chairs and sofas that have become a fixture in middle-class American living rooms, bought what was already one of Vietnam’s largest furniture factories. By next year, it will be the biggest. Chinese manufacturers are moving tariffs to places like Vietnam where costs are lower and US tariffs not (yet) applied. Good news for Vietnam, obviously, but also for the Chinese companies and government. Chinese workers? Not so much. US consumers, meanwhile, will stay mostly oblivious to the national origin of their purchases. Most won’t care if a product comes from Vietnam instead of China as long as price and quality stay the same. A study by World Bank economist Massimiliano Calì estimated Vietnam’s GDP will grow 4.4% if it replaces all the Chinese exports on products it already produces, with the Philippines and Cambodia benefiting as well. How does that help American workers? It doesn’t. It hurts them. A separate study (funded by Koch Industries, so not a left-wing source) estimates trade policy will cost the US economy $915 per person in 2019 alone, reducing GDP by 1.78 percentage points. That’s next year, not way out in the future. The damage is happening now. As I noted last week, much of this damage is already locked in. Companies have built inventory ahead of the now-postponed 25% tariffs on many Chinese goods. At some point, they have to stop buying and sell down that inventory. So it’s good that Presidents Trump and Xi agreed to negotiate further, but their public statements don’t suggest either side will give up much. They have deep, structural differences. But the bigger trend won’t change. Globalization is slowly reversing, and no one can stop it. We should try to minimize the pain. Instead, we’re adding to it. Dec. 4, 2018, 2:37 p.m.
Great Article Patrick! A very clear list of what has already gone wrong and what more will happen if you are paying attention.